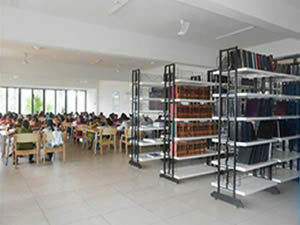 This unique Library is housed in a spacious and well planned building. The total plinth area being 3600 sq.ft… It is furnished with up to date furniture and modern lighting arrangements. The Library has, at present, about 3497 books. As many as 16 journals periodicals on different disciplines of medicine are subscribed. 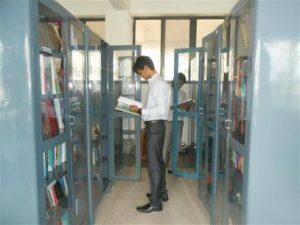 The Library is kept open on all working days from 09-00 A.M. to 7-00 P.M. and we follow the close access system, thus providing an incentive to students to look into the books. The working of the library is being supervised by a separate Committee. 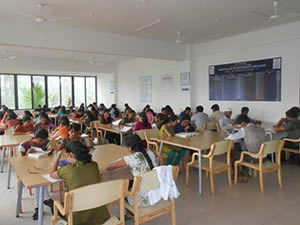 The library also provides facilities in Audio-Video learning system. Bound volumes are also available for student reference. Fitting with the new millennium, facilities of E-Mail Internet, retrieval of journals and text books and conferencing with other research and academic institutions world-wide have been added with 15 computer sets and capacity of 15 is targeted in near future. Facilities offered by ‘Digital Library’ Communication through Email, Chat, Voice Message, Voice mail Browsing of World Web Online Journals, which the College has subscribed, reference Books online, Journal Search, Practice Guidelines, Patients Education, Drug information etc.